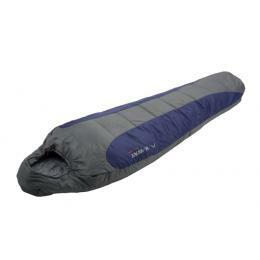 I have a K-Way Zermatt 950 Eco Sleeping bag which is suitable for 3 seasons in South Africa. I am now looking around seriously for a bag which will take me into the mountains in winter. I still have to make a decision on the down versus synthetic bag issue. I think the traditional thinking was that the more expensive down bags were warmer, lighter, and packed smaller than synthetic bags, whilst synthetic bags were cheaper, dried quicker if they got wet, and were easier to maintain. Update [01/09/2016]: I see K-Way has released K-Way Hybrid 2 Sleeping Bag that combines down and synthetic materials: the top half is duck down and the lower half is hollowfibre padding. The cowl feature is super for keeping your head and neck warm and preventing warm air from leaving the bag. Mummy shaped bags offer a closer fit than traditional square bags, reducing the amount of air that needs to be warmed. The shape also means a slightly smaller, lighter bag. The left / right feature means that if you have a left and a right bag that you can zip the two together to make a double bag (this works very well as you share body heat). Baffle on zipper to prevent zipper allowing cold air in. Bags that have a zipper feature that allows the bottom of the bag to be opened independently of the main zipper help with comfort, especially for mummy-shaped bags where foot room is fairly restricted. Internal pocket for valuables, batteries etc. EN13537 requires a thermal manikin test which produces four temperature results — upper limit, comfort, lower limit and extreme. These temperatures were worked for normal consumers. For the purpose of these measurements, a “standard man” is assumed to be 25 years old, with a height of 1.73 m and a weight of 73 kg; a “standard woman” is assumed to be 25 years old, with a height of 1.60 m and a weight of 60 kg.